A recent transplant to Denver with two young, active boys, Nicole Levine couldn't help but notice the lack of play spaces in the area (especially having moved here from Chicago where there was practically one on every block). Nicole was on a mission to find a convenient and unique neighborhood space to meet other parents, let her kids play and get good coffee. Not having much luck, Nicole decided to take matters into her own hands and thus, Peak-A-Boo Play was born. Setting up shop in various locations around Stanley Marketplace, Peak-A-Boo Play will be a clean, safe pop-up experience offering drop-in open play for kiddos 3 years old and under. 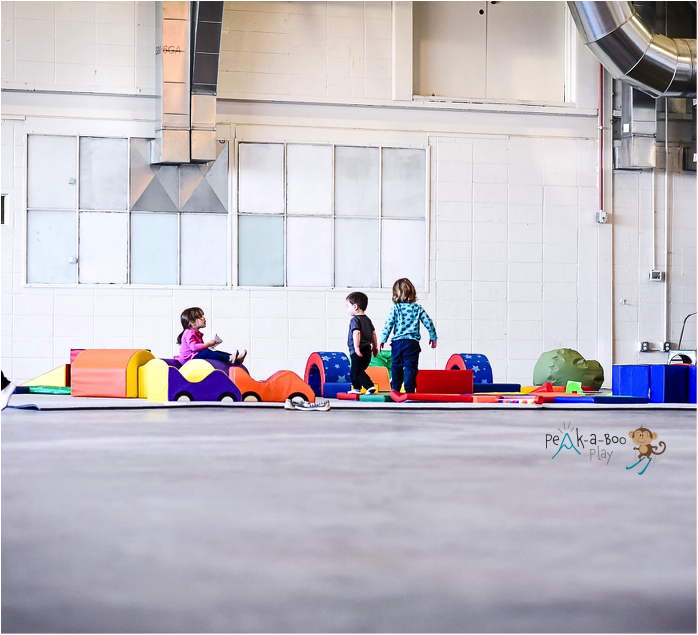 Parents/caretakers must be present and will have opportunities to socialize, grab coffee and take a breather while their kids explore over 500 square feet of mats, plush tumbling gear, toys, bubbles, music and more. And, of course, pre/post-play shopping and eating at Stanley can never disappoint. Admission is $10 per child with sibling discounts available. Current hours of operation will be Thursdays, 9am - noon, at Belly Bliss (2nd floor of Stanley Marketplace) however, the schedule is subject to change and will be regularly posted to website and social channels.